Experience the thrill of skydiving in a safe, controlled environment. Packages available for 1 person or large groups, private meeting room, team building and more! Located at Universal Citywalk®. 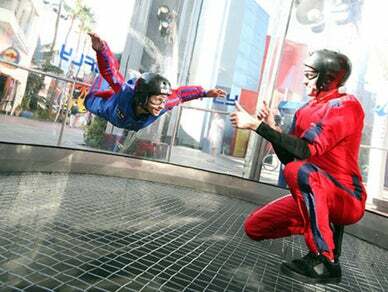 Experience the thrill of a freefall in a vertical wind tunnel. Great for private parties!